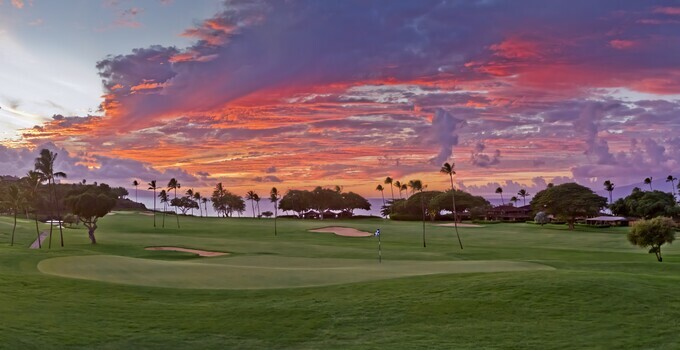 Ka’anapali Golf Courses will host the 2014 Ka’anapali Classic Collegiate Invitational, the first-ever collegiate event for the critically acclaimed resort, from Nov. 7-9. Sixteen universities from across America will compete in the 54-hole, individual and team event played on the Royal Ka’anapali Course. Competing universities include: Hawaii-Manoa (host university), Georgia, Oregon, Gonzaga, North Florida, Bowling Green, California-Irvine, California State, Clemson, Hawaii-Hilo, Kansas, Loyola Marymount, North Carolina, Samford, St. Johns and Utah Valley State. Ka’anapali will also host a College-Am fundraising tournament on Thursday, November 6 to benefit the University of Hawaii Golf Team.